Changed daughterboard pinouts in schematics support PMOD I2C interface. Looked at the possibility of using bidirectional isolators in data isolation stage, but it was ruled out as they were found to be expensive. Re-justified use of data isolation stage in serial expansion motherboard. Verified footprints for components and checked 0603 footprint to be imperial type instead of metric type. Checked datasheets of all components to make sure correct footprint is assigned to them. Made sure only low current (2mA) LEDs are used. 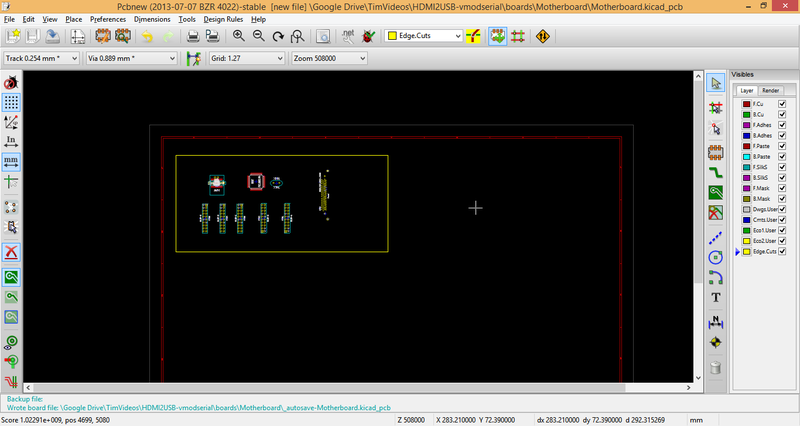 Just started with PcbNew, will be creating new module for the daughterboard slot and start laying them out nicely.